Item # 292105 Stash Points: 5,495 (?) This is the number of points you get in The Zumiez Stash for purchasing this item. Stash points are redeemable for exclusive rewards only available to Zumiez Stash members. To redeem your points check out the rewards catalog on thestash.zumiez.com. 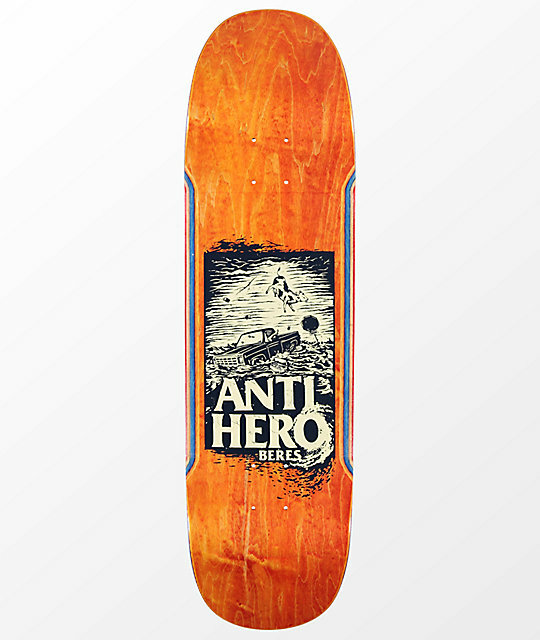 Snag Raney Beres signature Hurricane 8.63" Skateboard Deck from Anti-Hero and bring a unique twist to your skate game. This shaped board has a square kicktail, oblong square nose, and sleek cutout side edges offering lightweight performance and solid grab functionality. 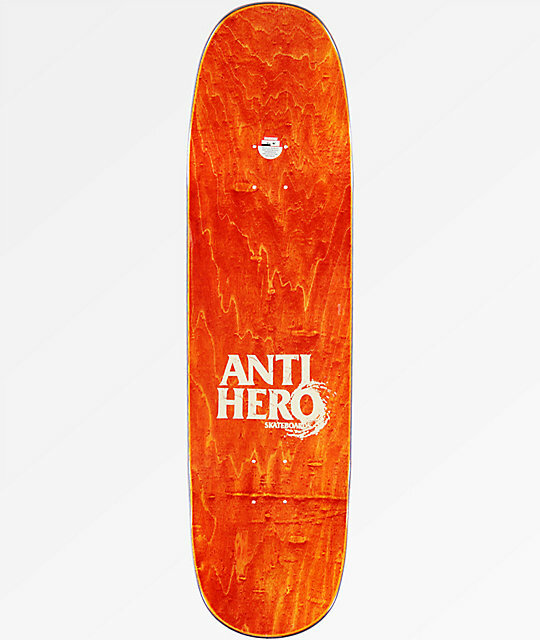 Beres Hurricane 8.63" Skateboard Deck from Anti-Hero. Signature Raney Beres pro model. Shaped board with square kicktail, oblong square nose and sleek cutout side edges.